If you are in the market to buy a house in Kitchener-Waterloo, than you may want to consider buying a loft or condo. There are many condos available that offer a nice alternative to some of the single detached homes. These condos can sometimes be available for considerabley less money. The only caveat is that you need to watch the condo fee. If the condo fee is too high, it might not be the best value. The other thing you need to watch for is whether heat or property taxes are already included. Once you deduct the cost for heat and property taxes then the monthly fee doesn’t seem so bad. There are a few condos in Kitchener Waterloo area that are quite high but some include special features such as a membership to a fitness centre. If this is not what you are looking for then you are best to keep looking until you find what is right for you. If you are a snowbird, investor, downsizing, first-time home buyer or someone who is looking for something that doesn’t require any outside maintenance then a condo might be a good fit for you. 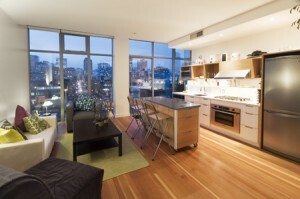 Here are some tips to ensure that condo living is the right option for you. 2. Can be more secure if you buy into an apartment building that has controlled entry. Underground parking is also very handy so that you don’t have to clean the snow off your car in the morning before you go to work. 3. Gives you the freedom to come and go without having to worry about upkeep of the common area. Perfect if you are traveller. No grass to mow or snow to shovel! 4. It is possible to get more house for less money. (keep in mind that you have to add on the condo fee and property taxes.). Do your homework because in some cases the cost can be higher. 5. Condos are very uniform which means that there are heavy restrictions on changing the appearance. (Unless you buy freehold.). This can be a good and bad thing. Good because everybody must conform to the rules and regulations of the condomium corporation. Bad if you want to put up a fence for your dog Fefe and the condo corp won’t allow it. It’s important to decide what you are looking for. 6. Condos or lofts are excellent if you have kids going to University and you want to avoid paying somebody else’s mortgage. Build your own equity! 5 years of equity building could pay for your son or daughter’s tuitiion and then some! Do your homework first so you know what you are getting into. Some people are nervous and don’t want to get into buying investment properties. I can see why people might feel this way especially if you are not familiar with an area or a worried about taking risks. I belieive that if you are financially able to do it, then you should do it. If you kids have friends that rent, then maybe they can also help pay the rent of your new investment. It’s a win-win situation! We have helped many clients who go to the University of Waterloo, Laurier and Conestoga College who purchased homes and they are very happy that they did. 7. If you are in the market for a home and want modern living, then there is lots of choice here in Kitchener Waterloo and Cambridge. Some really impressive developments are The Kaufman lofts, LeMarche condos (one of my favourites) , Seagrams Lofts, Bauer lofts, Tiger lofts and Mansion Lofts to name a few. These condos have many unique features that will appeal to a broad range of different people and lifestyles. 8. If you have a pet, don’t fret! Several condos or lofts in Kitchener-Waterloo will allow you to have pets. There might be some restrictions but the rules are laid out in the rules and regulations. 9. Some condos come with multiple parking spots as well as extra deeded spots, if not you will need to look into renting extra spots. 10. If you are an investor, you might want to consider filling your portfolio with condos and rent them out. Keep them for several years, build the equity and then sell them. This is a perfect way to invest without spending too much money on multi-family or other types of housing. The nice thing about condos, especially aparment style condos, is that maintenance on the common areas are covered by the condo fee which means there are less expenses. Again it is necessary to crunch the numbers and make sure you know what you’re getting into. Well that’s all I have to say for now. 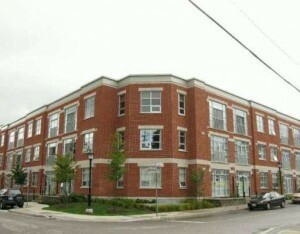 If you want to find our what condos or lofts are for sale in Kitchener, Waterloo or Cambridge, please check out our new website at www.kitchenerlofts.com.